Learn how to focus and stay on track. Are you easily distracted? Do you allow technology and social media to take over your day? Are you constantly interrupted by other people when you are trying to work or complete a project? 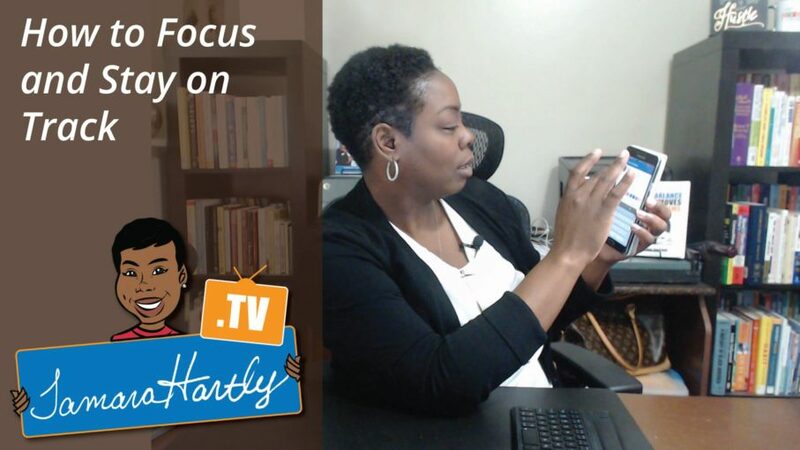 Watch this video if you want some advice, tips, and strategies, that you can immediately put to use today, to help you focus, eliminate and minimize distractions and interruptions and help you stay on track. In this video, I also share my top 5 strategies that I personally use every day to stay focused, accomplish my goals and manage my productive day. Also, I share the Daily Action Journal that I created to track my daily activities and track my progress. This journal is the ultimate time management tool that keeps you focused on your day-to-day activities. Because let’s face it, anyone can dream a dream, but it is in our daily actions where our dreams become reality.